Mark Twomey is accused of slashing a young woman’s face three times with a Stanley knife leaving her with “life-changing injuries”. A 20-YEAR-OLD MAN accused of slashing a young woman’s face three times with a Stanley knife leaving her with “life-changing injuries” has been refused bail. Mark Twomey who is of no fixed abode but from the Bluebell area in Dublin, was charged with robbery, possession of a knife and seriously assaulting an 18-year-old woman at Golden Lane, Dublin 2 on Tuesday night. He appeared before Judge Bernadette Owens at Dublin District Court today and was remanded in custody for one week. Objecting to bail, Detective Garda Bryan Hunt said Twomey “presented a danger to people on the street”. Citing the seriousness of the case, Det Garda Hunt alleged the victim was attacked by a man and woman, not known to her, as she walked along Golden Lane. The accused was armed with a screwdriver and also a Stanley knife in his waistband of his trousers, the Garda said. Garda Hunt told the court the victim was “violently assaulted”. He alleged she was punched a number of times to the face and Twomey “sliced her three times in the face with a Stanley blade”. It was alleged Mr Twomey then took the woman’s iPhone 6, which was worth €500, and he fled the scene. The court heard the assault went on for 30 to 45 seconds, and gardai and the emergency services were alerted by a 999 call. The victim was left with two separate serious injuries including a large deep cut to the arm, which exposed the bone, as well as a large cut to her face which stretched from her ear to her mouth. The woman had surgery on Tuesday and remains in hospital. She would need plastic surgery on her the “life-changing injury”, the court was told. Garda Hunt alleged there was CCTV evidence as well as independent witnesses. Twomey was arrested about 500ms away and was caught red-handed, the Garda said. The detective alleged Twomey admitted to him that he had thought the victim had been involved in an incident involving a member of his family. However this belief was “unfounded” and “unsubstantiated”, he added. Garrett Casey BL, defending, said Twomey was willing to abide by any bail conditions and would even live outside Dublin. 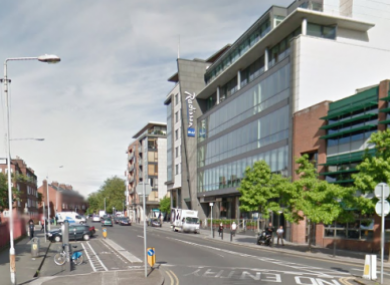 However, Gda Hunt believed Twomey, “presented a danger to people on the street”. Judge Owens refused bail and remanded the accused in custody to appear at Cloverhill District Court on 22 August next. Legal aid was granted and the judge directed that Twomey have a medical assessment in custody. A 17-year-girl who was also arrested in connection with the incident was released without charge pending a file to the Director of Public Prosecutions. Email “Man accused of slashing young woman's face in Dublin city centre refused bail ”. Feedback on “Man accused of slashing young woman's face in Dublin city centre refused bail ”.